DVDs for ADI Part 3 training now available from Excel Academy! SmartStart – a gentle start to driving! Are you, or someone close to you, an Asperger or autistic person? Someone with dyslexia or dyscalculia? Having problems learning to drive, or building confidence? Needing help with education, or finding work? We can help you. We also offer help to professionals in all trades, to learn about their special needs employees, customers and other stakeholders so they can reach new markets and be able to offer advice and support to them. Excel Driver and Instructor Academy (ExcelDIA) believes that all can learn if they receive the correct training and support. This includes people with special education needs (SEN), including Asperger syndrome, autistic people, and ADHD, dyspraxia and dyscalculia. Dr Julia Malkin, MBE, MA (Leic), BA (Hons) (Open), Dip. LCW (Open), Dip. DI, (Midx), FdA (MVCO) (Leic), Cert. Bus. Std. (Open), Cert. HESc (Open), Dip. OFADI, FRSA, MInstMTD, LCGI, MIDER, MAIRSO, DSA ADI (Car), MInstLM established ‘Exceldia’ in 2008. We believe that having a special need should never be a learning barrier. With 20% of people having either a learning difficulty or mental health difficulty, the need for specialist support has never been greater. The services, courses and techniques designed by Julia at ExcelDIA are, with the help of her partners, transforming lives across the UK. Counselling for individuals, couples and families using our specialised and proven ASSET system which has saved one teen from suicide. ExcelDIA is renowned for special needs driver training and driving instructor training services, which are now spreading across the UK. Through our network of specially trained instructors around the country, more and more special needs people are having the opportunity to learn to drive. Ever since ExcelDIA began training approved driving instructors (ADIs) 6 years ago, the pass rate has been 100% – every trainee taken on with ExcelDIA has qualified as an ADI. As well as qualifications, experience of special needs conditions also contributes to the work at ExcelDIA. Julia Malkin, Director of Training and Development, received a Grade 6 at the first check test, followed by a high-end Fleet Grade 5 at the second, despite having autism, dyslexia, dyspraxia, dyscalculia, Irlen’s syndrome and ADHD. Her husband Colin Malkin, who supports her at workshops and conferences, has dyslexia. Every ADI who has trained here for check-test training has received a higher grade than the one held prior to training – except the Grade 6 ones of course! With the advent of the new Standards Check, extra training systems have been designed to help instructors deal with the new test. 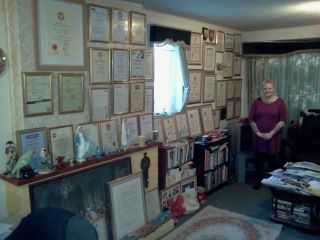 Julia received an MBE (Member of the Civil Division of the Most Excellent Order of the British Empire) in the New Year 2011 Honours List, for her services to people with special educational needs. You can view the article in the Leicester Mercury at http://www.thisisleicestershire.co.uk/news/Unsung-heroes-join-stars-honoured-Queen/article-3052739-detail/article.html . There are more details on the MBE page! Besides training instructors, ExcelDIA offers training for all stages of a driver’s career, from learning to drive to becoming one of the most advanced drivers on the road! The ‘Revolutions’ course takes ADIs into another world as they learn to teach those with special educational needs – it covers everything from autism and ADHD through to panic attacks and confidence issues. For more information, see the ‘Revolutions Course’ link! The ‘Revolutions’ Course has recently won the Prince Michael International Road Safety Award 2012. See our new page! In response to demand from driving instructors, ExcelDIA has now produced ‘Revolutions Plus,’ a sequel course to ‘Revolutions.’ This course goes into more detail and depth, as well as more hair-raising situations – learn to control both your car and your pupil if they have a panic attack behind the wheel of your car – in fast-moving traffic! Coaching has also become part of the Excel training programme, with the new course ‘Reflections’ being designed in 2010 for ADIs to coach all pupils including special needs pupils. The now-established ‘SmartStart’ foundation course for special needs learner drivers takes them gently through their first steps behind the wheel. The only course of its kind, ‘SmartStart’ provides a gentle yet confidence-building start to driving, with the option of going on further courses as the training progresses. Many mums and dads are amazed at their daughter or son driving while they watch from the back seat! For more information, see our ‘SmartStart – A gentle start to driving’ page. Besides driver training, Exceldia also offers help for all people with autism, Asperger syndrome and ADHD, as well as mental health problems and dyslexia. This assistance goes beyond driving into other aspects of a person’s life. From trying to learn at college to being on the verge of suicide, Exceldia can help. Julia Malkin has autism. Her products are helping others succeed. Many of the products designed by Julia to help others learn, both inside and outside the world of driver training, have made ExcelDIA Ltd an award-winning establishment. 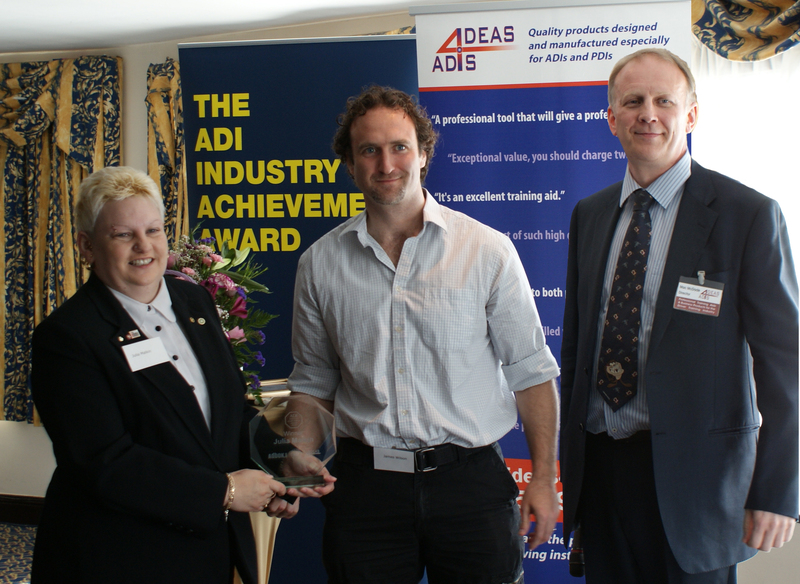 ExcelDIA won the ADI Industry Achievement Award 2010 and was runner-up in the East Midlands’ ‘Women of Worth’ Most Innovative Business Awards 2010. ExcelDIA takes pride in pioneering new learning and development ideas. See the ‘Awards’ section for more information! A Diploma Level 3 in Psychology . …all of the above were done at the same time, between 2008 and 2012. Recent qualifications at Level 3 include Alcohol and Health, Childhood and Youth Studies, Modern Lifestyle Diseases, Fundamentals of Biology, Mental Health and Leadership and Management. Julia has just completed a Certificate of Higher Education in Science – hard sciences at university level – with The Open University. She is also a second-year, full-time PhD student at the University of Leicester, which will involve creative writing regarding the analysis of the world through the eyes of the Asperger syndrome person. The PhD is due to finish in 2014. Only through innovation has she succeeded – ExcelDIA’s goal is to pioneer innovation for all to succeed. Find Julia Malkin and ExcelDIA Ltd on Facebook, Twitter (@juliaMBE) and LinkedIn, and feel free to email at exceldia@ntlworld.com . Developing Driving Simulators – Project with the University of Nottingham – Funding approved! MBE given to Julia Malkin for special needs services – photos now available!! Thanks everyone, for helping Excel Academy campaign for autistic pupils!